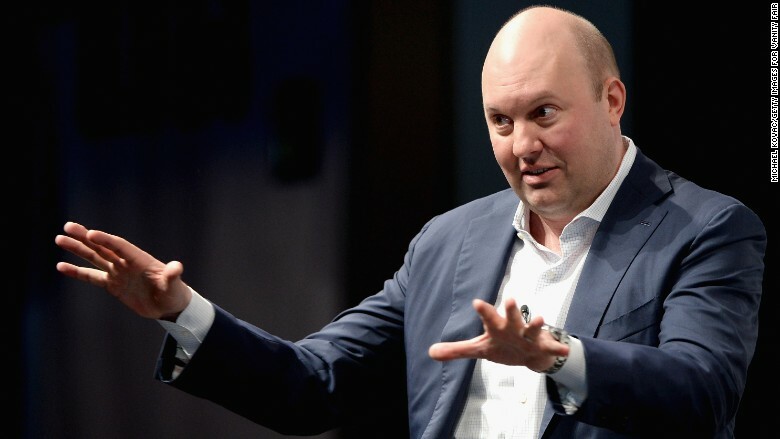 Venture capitalist Marc Andreessen has apologized for a series of ill-advised tweets on India, colonialism and Facebook's failed effort to expand Internet access in the former British colony. Andreessen, one of the most powerful men in Silicon Valley, used Twitter to express his dissatisfaction with a ruling by India's telecom regulator that effectively killed "Free Basics," a Facebook program to provide impoverished people with access to a limited number of Internet services, including the social network. Critics argued that the initiative violated the central tenets of net neutrality, which stipulate that all Internet content and users should be treated equally. They also said it was dangerous to allow Facebook to decide what content was permitted on "Free Basics," and what was not. Andreessen, a Facebook (FB) board member, disagreed. "Denying world's poorest free partial Internet connectivity when today they have none, for ideological reasons, strikes me as morally wrong," he said on Twitter. Denying world's poorest free partial Internet connectivity when today they have none, for ideological reasons, strikes me as morally wrong. "Another in a long line of economically suicidal decisions made by the Indian government against its own citizens," he added. Indian critics of the program then jumped into the fray, echoing arguments made by prominent members of India's venture capital and tech communities that "Free Basics" recalled "imperialism and the East India Company" and was a "modern twist to what essentially used to be the white man's burden." "Hey, you guys are from the third world. You don't know what's good for you. We'll think & decide on your behalf," one critic said. Andreessen responded with: "Anti-colonialism has been economically catastrophic for the Indian people for decades. Why stop now?" a question that garnered a deluge of condemnation. He later deleted the tweet. India became an independent nation in 1947 after nearly two centuries of British rule, a period replete with economic plunder, brutal oppression, violence and famine. "If ANYONE in Silicon Valley cares about @pmarca come and get your boy bc he's abt to yell 'We gave those ungrateful natives the railroads!'" tweeted Caille Millner, a columnist for the San Francisco Chronicle. If ANYONE in Silicon Valley cares about @pmarca come and get your boy bc he's abt to yell "We gave those ungrateful natives the railroads!" "I apologize for any offense caused by my earlier tweet about Indian history and politics. I admire India and the Indian people enormously," Andreessen tweeted, adding a smiley-face emoticon. "I now withdraw from all future discussions of Indian economics and politics, and leave them to people with more knowledge and experience!" he concluded.